Thomson, GA. – Mr. Johnny Plamon Hobbs, age 90, entered into rest January 31, 2019 at his residence. Mr. Hobbs was born in Stapleton, Georgia, the son of the late Johnnie Lee Hobbs and the late Nettie Lou Landrum. He grew up in Jefferson County, but later moved to Thomson, GA. Mr. Hobbs served his country in the U.S. Army during the Korean Conflict and was employed for over 40 years with the Thomson Company and retired as a Quality Supervisor. 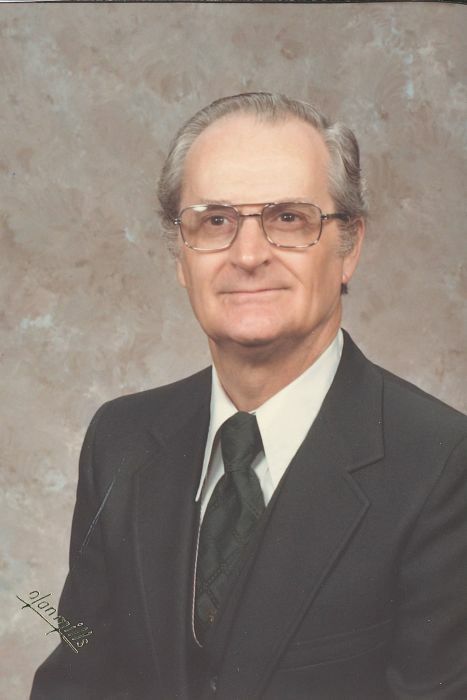 He was an avid gardener and a member of the Zoar United Methodist Church. In addition to his parents, Mr. Hobbs was predeceased by his daughter, Rosemary Pinion; and sister, Mildred Hobbs Hadden. Survivors include his beloved wife of 65 years, Mildred Hobbs; daughters, Alecia Stewart (Rocky) of Wadley, GA and Sheila Morey (Clyde) of Thomson, GA; 6 grandchildren, Kara Morey (Clay), Nicholas Stewart (Melissa), Ashley Stewart Austin (Andrew), Taylor Morey Hobbs (Cory), Mallory Morey, and Shelby Morey; and 7 great grandchildren. Funeral services will be held at 11:00 a.m., Monday, February 4, 2019 at Zoar United Methodist Church with Pastor Faye Burgamy and Rev. Don Black officiating. Interment will follow in the church cemetery. The family will receive friends from 4 until 6 p.m. Sunday, February 3, 2019 at the funeral home. The family would like to thank the staff of Heartland Hospice for all their kindness and care given to the family. In lieu of flowers, donations may be made to Gideons International or Zoar United Methodist Church. Beggs Funeral Home, 799 Cobbham Rd., Thomson, GA is honored to serve the family of Plamon Hobbs.